Many people buy their Bongo with a conversion; some have one fitted later; and others like to build their own. 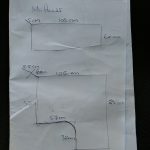 Sometimes, you don’t want, or need, a full conversion, but would like certain items. 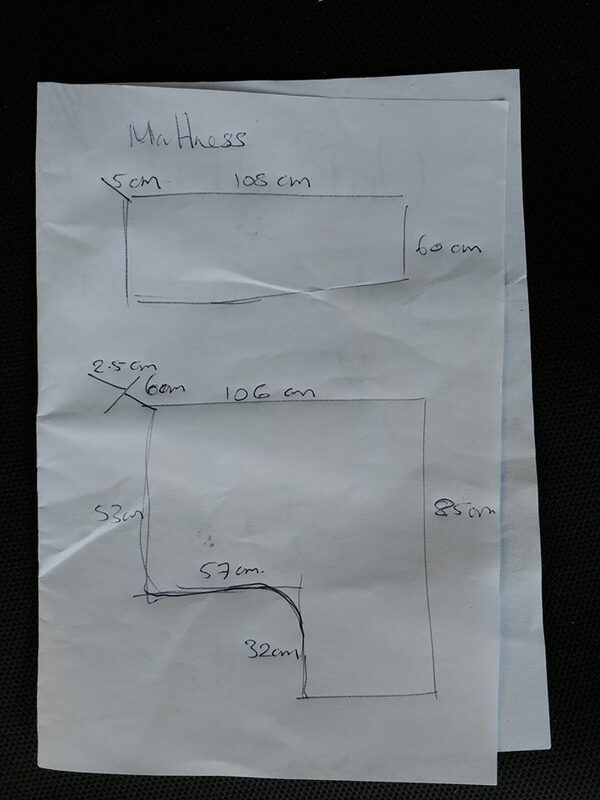 Bongo owner, Stuart Coates, has kindly supplied some diagrams with measurements, for top cupboards. Click on this link to view and download. The roof area of the AFT is accessed via a small, hinged, hatchway. This can also be raised with the larger roof access cover. 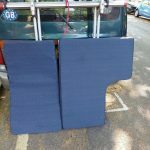 However, once you have mattresses in place, it’s quite tricky to gain access or egress. 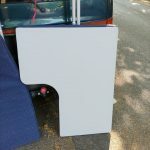 Some owners have created a sliding panel, some have turned the large panel around to have the small hatch opening at the rear. 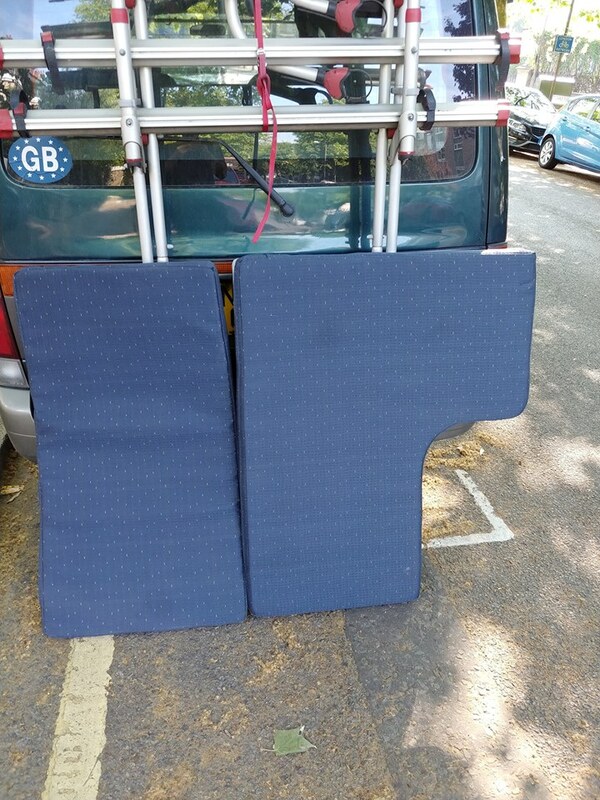 But by far the best I have come across, is this bit of lateral thinking by Bongo owner, Mike K. Why not ignore the main and small hatch altogether, and simply raise the existing hatches out of the way, and insert your own board? 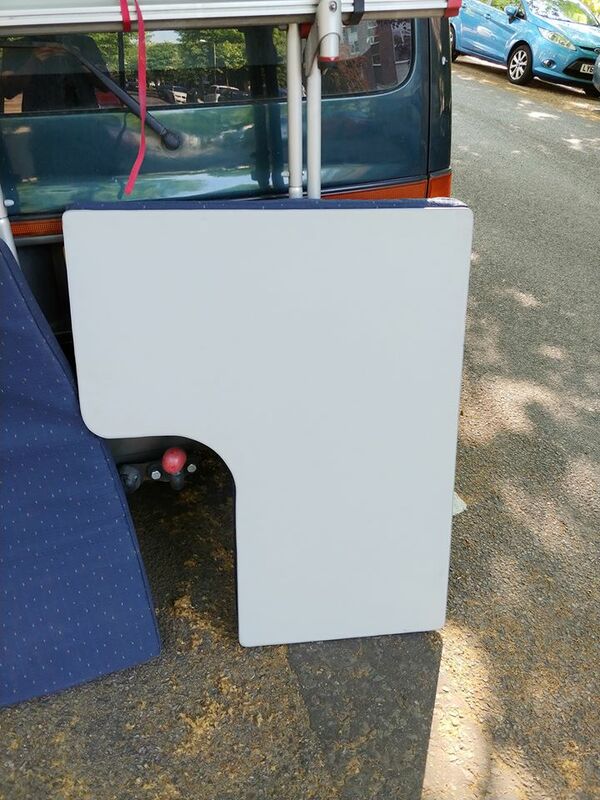 Access is easy for children and the board can easily stored, when not in use. You can see a video, here. (PS: You will need to be a member of the Mazda Bongo Owners Club, facebook group).